Will Microsoft Acquire Oath (Verizon Media Group)? Microsoft's love-hate relationship with advertising could prompt the company to more closely align with -- or acquire -- Verizon's newly renamed Oath business, Verizon Media Group. Verizon bought AOL in 2015 for $4.4 billion and then acquired Yahoo for $4.5 billion in 2017. The company chose to brand the combined companies Oath, but the name never really caught on. It seemed difficult to convince advertisers to take the Oath -- pun intended. The business unit, Verizon Media Group, faces tough competition. Revenue for the division fell from $2.2 billion in the fourth quarter of 2017 to $1.8 billion in the third quarter of 2018. The decline could give Microsoft the edge to reenter the advertising business. Apparently, the company really just wants to build Oath’s technical capabilities such as artificial intelligence, augmented reality, and virtual reality into its other businesses across Verizon. But the company could license those patents from Microsoft, if they choose to sell the assets to the Redmond, Washington-based company. Microsoft has never really been an ad company. In 2006, the company tried its hand at in-game advertising by acquiring Massive, a video game advertising network. 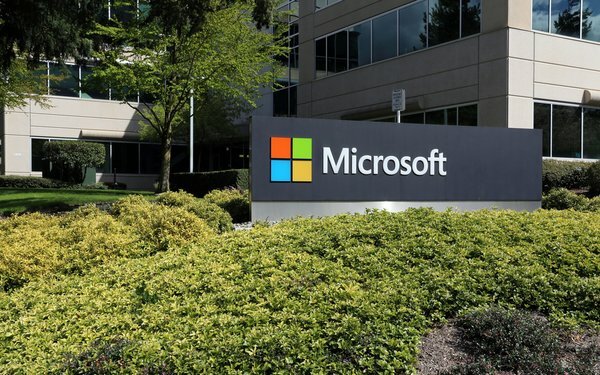 In 2015, Microsoft announced it would shutter the majority of its display advertising business and hand the remaining parts to AOL and AppNexus. The commitment to advertising in games failed, even with its strength in Xbox and gaming, and once again Microsoft turned to its strength in an operating system and software licensing. Only recently has Microsoft proven to be a leader in cloud computing. Don’t misunderstand -- advertising and search are not an afterthought but simply are not the company’s core capabilities -- basically because early on Bill Gates and team chose to focus on other technology. Google co-founders Sergey Brin and Larry Page chose to make advertising and search their company's core strengths. With Microsoft CEO Satya Nedella at the helm, would Microsoft forge a new commitment? Just a thought.